Judges have returned their shortlist for the HR Supplier Partnership Award, the category that recognises the achievements of suppliers of products and services in relation to an HR client. This inaugural award was only open to entry from suppliers nominated by entrants to the other categories in the Personnel Today Awards. Rob Moss, editor of Personnel Today and one of the judges for the new category, said: “While the Personnel Today Awards have always recognised the excellence and achievements of HR teams and individuals, we realised more could be done to acknowledge the hugely valuable input of the numerous suppliers to the profession. Entries included those from software providers, learning and development companies, diversity consultants, recruitment agencies, healthcare providers and law firms. 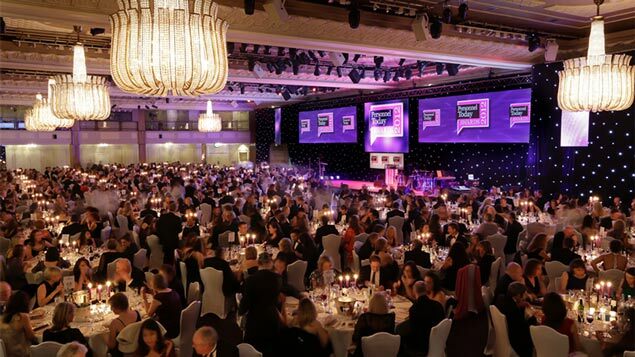 All those shortlisted are invited to the Shortlist Party on 9 September as an opportunity to celebrate their success, ahead of the awards ceremony on 18 November 2014 at the Grosvenor House Hotel, London. The full shortlist is published here.